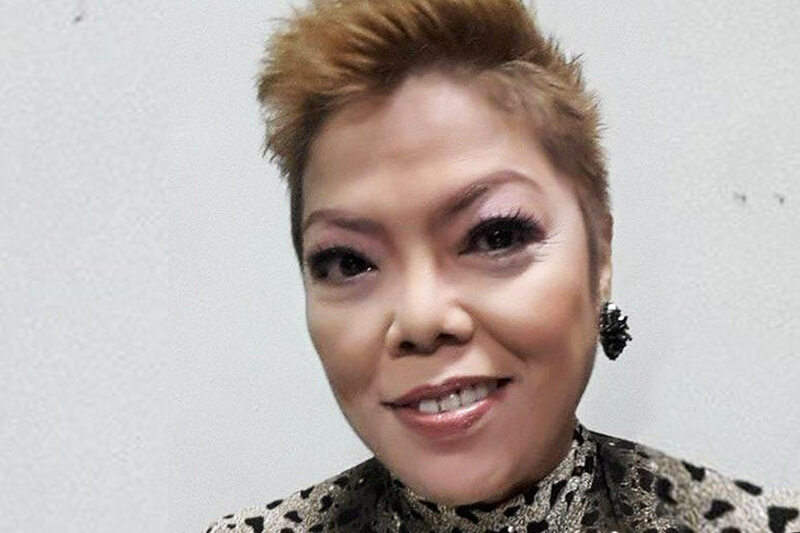 Joy Viado a well known comedian has passed away, according to a source close to her confirmed to ABS-CBN News Saturday evening. A comedian passed at the age of 57. After suffering a heart attack, Viado was taken at the Quezon City General Hospital, where she was pronounced dead at 8:55 p.m., according to her best friend, Annete Lucido, per ABS-CBN News' MJ Felipe. In an interview with DZMM, Viado's son, Joseph Cristopher, said she had difficulty breathing after arriving home from a friend's place Saturday. "Galing siya sa bahay ng kaibigan niya, at paguwi niya ay medyo nahihirapan na siyang huminga," Joseph shared. "Tapos nung tinakbo namin siya sa hospital, sa kotse pa lang eh talagang nahihirapan na siya. Sa hospital, sinubukan i-revive pero [dead on arrival]." A wake for Viado will be held at the Arlington Memorial Chapels Sunday afternoon, added Joseph. A veteran comedienne who has featured in numerous television series and films, Viado last made headlines in 2015 when she broke down as she appealed for help to save her foot from amputation due to diabetes complications.